Greatest Flix – Queen, the band: FIRST Music Video Compilation ever! It’s 1981… MTV is about to launch the first of it’s kind TV channel with the vision of 24 hours of nonstop music videos. Bands across the world began hiring producers, actors and a new kind of stage crew. This was the beginning of a whole new era in visual entertainment that was sure to seduce the masses. 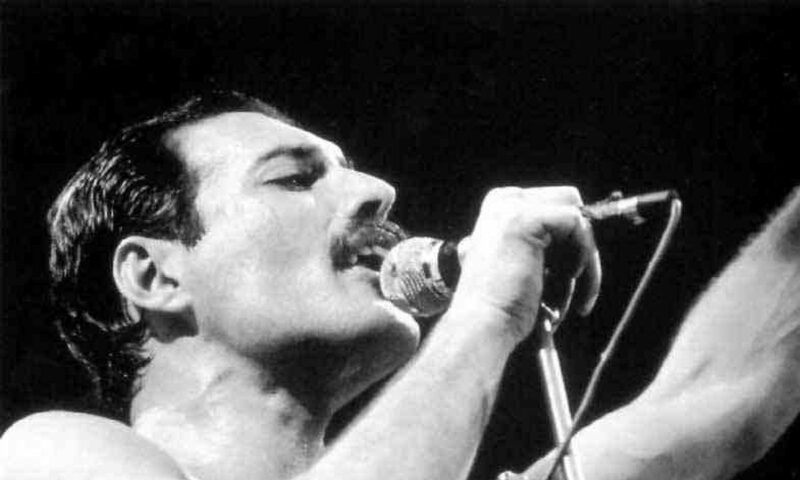 Queen, the band, was one of the true pioneers in this new music-video arm of the entertainment industry. Shortly after Queen played to 131,000 people in Sao Paolo, the largest paying audience for any band anywhere in the world, they released the promotional blockbuster video compilation “Greatest Flix”. The first music video ever made public was Bohemian Rhapsody but quickly followed was the compilation video that also shattered records with it’s release in August of 1981. Back in 1981 there was no such thing as the internet. TVs weighed 150 lbs. The younger generation do not realize the history of music videos and that this one was the very first video collection of it’s type to be assembled by any artist (eventually copied by others through the years and very popular now). This set of videos were a total of 18 individual clips. This video has several clips that the follow-up video “Greatest Hits” didn’t have like “Spread Your Wings,” “Love of My Life,” “Flash’s Theme,” and a different version of “Killer Queen”. What is included in this video is again, Rock and Roll’s very first ever promotional video, titled “Bohemian Rhapsody,” of course the classics — “We Will Rock You,” “You’re My Best Friend,” “Another One Bites the Dust,” “We are the champions” and many others. Greatest Flix was released together with the audio album Greatest Hits and the photo book Greatest Pix. Greatest Flix has proven to be one of the more memorable and significant music home videos ever released. I hope you like watching and listening as much as we do. I’m sure it has brought back a ton of memories of Queen, and to you 80′ music newbies, now you know what cool music sounds like. Come on back anytime, just type in “GreatestFlix.com” into your browser. Share with your friends! “LIKE” our Facebook Page Tap Here!